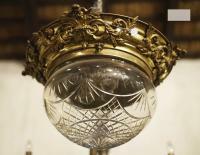 A French Bagues chandelier. Ca 1920. 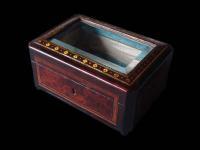 A French veenered root wood jewelry box. Ca 1870. 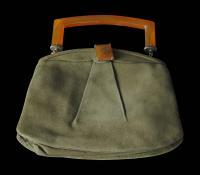 A French "Morabito" antelope purse with ambar clasp. Ca 1930. A French Louis XVI style lacquered and gilt wood trumeau mirror. Ca 1920. 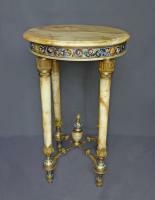 A pair of Italian Carrara marble pilasters with bronze bases. Ca 1900. 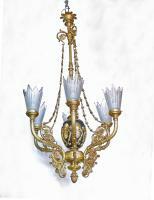 A French empire style gily and painted bronze. Ca 1900. A pair of French Louis XVI style Mahogany and Gilt-Bronze mounts Bergeres. Ca 1880. 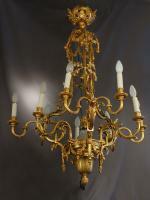 A French Louis XV style in gilt-bronze and crystal chandelier. Ca 1900. A pair of French mahogany frames with gilt-bronze and engraved mounts. Ca 1880. 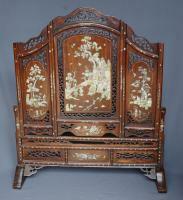 A mirror with gilt wood frame. Ca 1920.